REGISTRATION FOR THE 20TH ANNUAL EDMONTON WILDRUN IS OFFICIALLY OPEN! Register TODAY to run or walk for the rescue and rehabilitation of our local wildlife on JUNE 15, 2019 at 10am. We’re also MOVING this year to Queen Mary Park Community League so that we can expand the Edmonton Wildlife Festival, which starts right after the run. 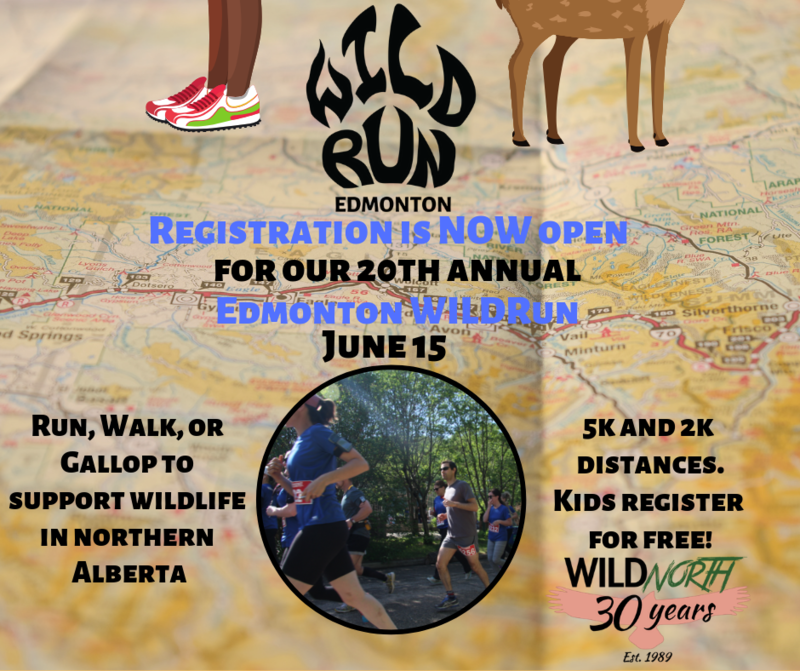 Both the Edmonton WILDRun and the Edmonton Wildlife Festival will be fun for the whole family!